Sushi. Whenever I ask my friends about their thoughts on sushi, they either really hate it or really love it. Personally, I’m a huge, huge, HUGE fan of sushi. I get excited over the thought of going to eat sushi. My favourite places to go eat are restaurants that offer all-you-can-eat sushi; there are just so many different types to choose from! From your typical salmon sushi to California rolls, everything about sushi just makes me happy (I’m salivating just writing about it). If you go to all-you-can-eat restaurants, you can even order other food dishes, apart from sushi, which is a bonus! Living in the heart of the 6ix, I have had the pleasure of experiencing a few sushi places that downtown Toronto has to offer. As much as I love sushi, there were a few times when I felt as though I wasn’t getting my money’s worth. Being the kid that I am, I always had the mindset that I needed to get the most out of my money when eating out at all-you-can-eat restaurants. So, here I was with a conflict. I love going to eat sushi, but at the same time, I sometimes felt as though I wasn’t getting the most out of the dining experience. So what now? Well, after visiting a few sushi places throughout my 19 years of existence, I have developed a few tips and tricks to utilize at sushi restaurants. These tips and tricks can be used to help you get the most out of your visit to an all-you-can-eat restaurant. NOTE: None of these are guaranteed to work! Drink Tea. I always get hot tea when I go to eat sushi. The tea helps with digestion and allows me to prepare for the next dish of sushi when it gets served! Have a bunch of conversations with your friends or family. When I go to eat sushi with people, I normally have random conversations about almost anything. This helps me to put aside eating for a bit and allow for digestion. If you’re alone at the restaurant, do not worry! Enjoy the view out the window or the surroundings around you. Eat less rice. This particular tip is hard to follow when you’re ordering sushi because sushi usually comes with rice. However, if you aren’t there for sushi, try to eat less rice as it can fill you up real quick (this also applies to noodle dishes). Eat sushi last. This goes along with the previous tip. Since rice fills you up quickly, you should first indulge in the dishes that don’t include rice and then save your stomach for sushi last. After all, save the best for last! Chew, chew and chew! 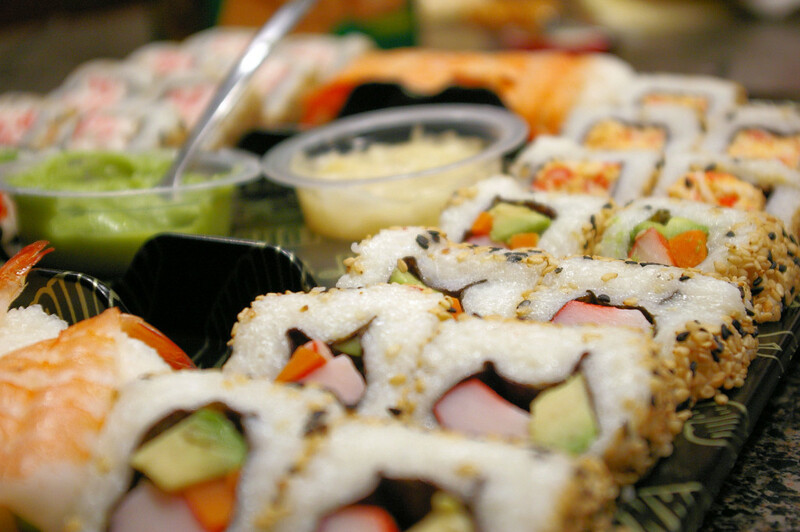 This tip is a general rule for all foods and not just for sushi; it’s best eating practice. It is always good to chew your food and take your time eating. The more you chew, the better it will be for digestion! Hi! 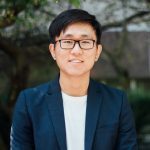 My name is Sam and I am a fourth year Accounting student at TRSM. Sushi, bubble tea and ice-cream is all I need to survive. If anyone is down to get any of those three items, holla at me!